Just imagine...standing perfectly still on the crest of a ridge. There's no sound except the sigh of the wind through the snow-covered trees below you. Then you move and the snow squeaks below your skis as you carve deep trails with world-class powder flying up around your knees. The powder in the Canadian Rockies, on the backcountry alpine slopes and meadows of Rogers Pass and Glacier National Park, feels like you're riding waves of pure white gold. 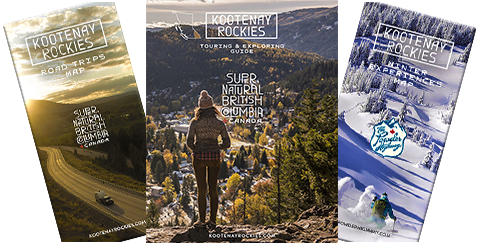 At Revelstoke Ski Touring, they specialize in bringing the wonders of winter in the backcountry to you, offering private group heli-skiing and snowboarding, powder ski and snowboard touring and heli-snowshoeing adventures. Their combination of helicopter and road transport, luxury accommodation and highly experienced guides means that your vacation not only fits your goals, but your dreams. Revelstoke Ski Touring's small-group alpine adventures feature the exclusivity that ensures an experience well off the beaten path. They pride themselves on offering exciting trips that suit every age group, fitness and expertise levels, from novices to seasoned veterans. The mountain community of Revelstoke, nestled in the Selkirk and Monashee Mountains is the birthplace of guiding in North America. Revelstoke's historic downtown echos those early days in the mountains, with heritage buildings and antique streetlights to set the scene. Ski touring at its best.